Every great farm needs the best collection of sheds, and Action Sheds Australia is just the company to provide them! Be it to house your heavy machinery or have a place to store your hay, we have everything you would need and the best farm sheds in WA. We offer a range of custom selections as well to ensure that you get exactly what you need at first-rate strength. Our hay sheds are popular for storing large amounts of bundles of hay, grain, or other farm products. We have a few standard models, but all of our sheds are customisable and we encourage you to choose from our large variety of options. Hay shed can be constructed with either open front or open ends, which allow for easier transport of hay from tractors and other lifting machinery because of easier access by said machines. In addition, your shed can be plated with extra protection and fitted with additional features that enhance its function and security. These features include walls that divide the shed as well as rolling and personal access doors for lockup functionality. You design the type of shed you’d like with the given dimensions, and we can build it. We also offer some of the best machinery sheds in WA. Like our other farm sheds, these can be customised with virtually any dimensions and extras to max out the potential of your shed. These machinery sheds can be built with larger individual bays or with a more open span to accommodate some of the larger machines being used in agriculture today. The same features on our other farm sheds apply here, including remote-controlled doors and skylights. 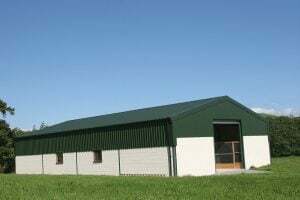 Our storage sheds are also useful for housing any kind of farm item, machine, or product. These too can be customised with dividing walls, doors, locks, and even mezzanine floors. 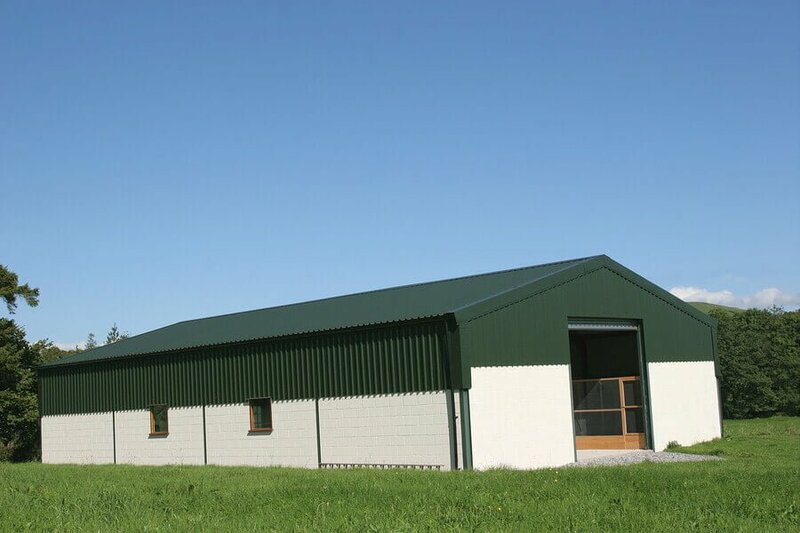 All of our sheds of this variety come with the finest and safest cladding steel, supported by a fifteen year warranty, plus a ten year structural warranty. A variety of colours are available also, courtesy of Colorbond. We ship our sheds anywhere in the country and will build them for you if you’d like. For any questions you may have about our farm shed options and construction, call us at 1300 778 628.